ArcticCross #6 - King Street Brewing ‘Cross at Kulis Air Park. 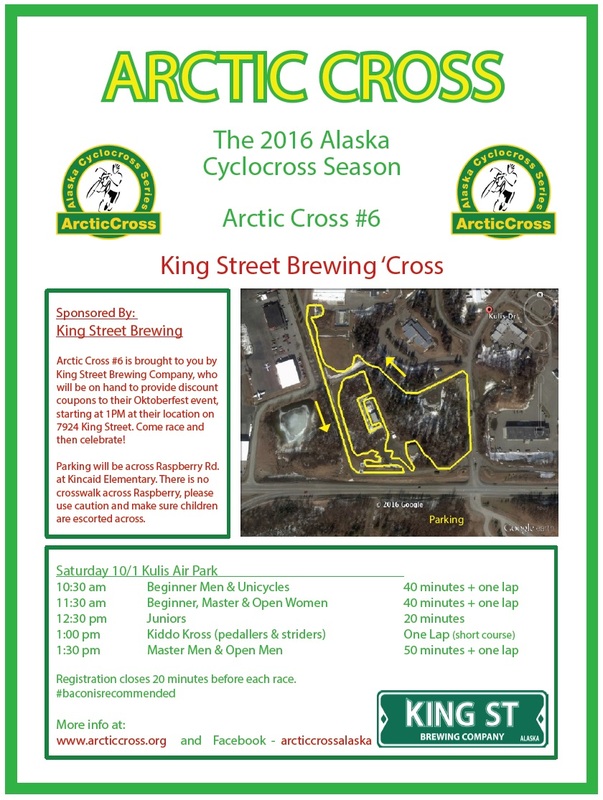 Arctic Cross #6 is brought to you by King Street Brewing Company, who will be on hand to provide discount coupons to their Oktoberfest event, starting at 1PM at their location on 7924 King Street. Come race and then celebrate!